Go to Fixed at the top of the screen. Drag Copyright to the website page. NOTE: Only one copyright widget can be added to a website page. If you already have a copyright on the page, use Copyright Settings to manage it. Click on Row tab in Settings dialog. 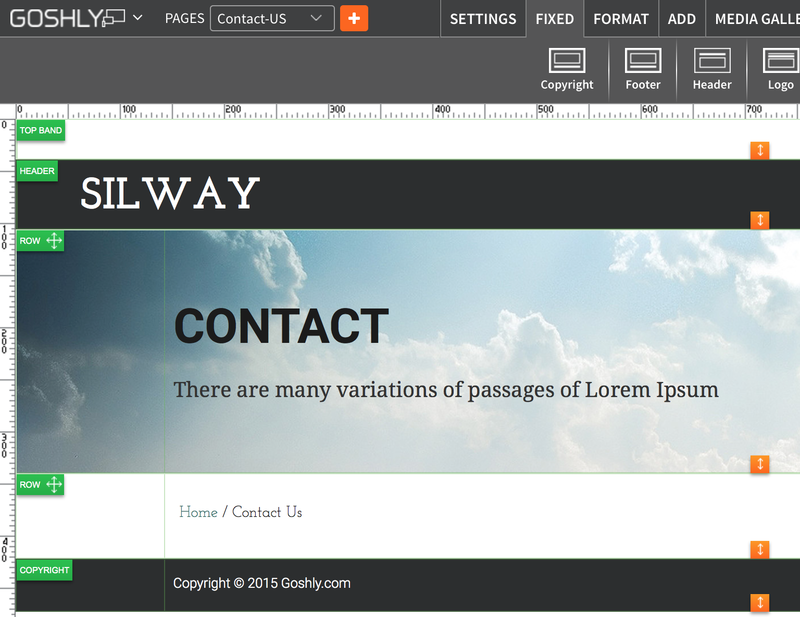 Full Width: Toggle ON to allow the copyright to occupy full width of website. 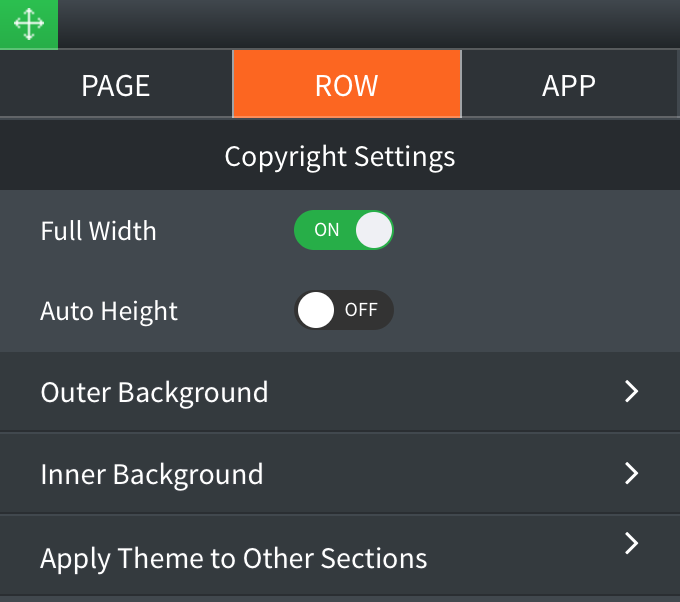 Auto Height: Toggle ON to allow the system to adjust the height of the copyright according the content inside of it. Color: Choose an outer background color for website. Opacity: Set opacity of website outer background. Image: Select and enable image as outer background. 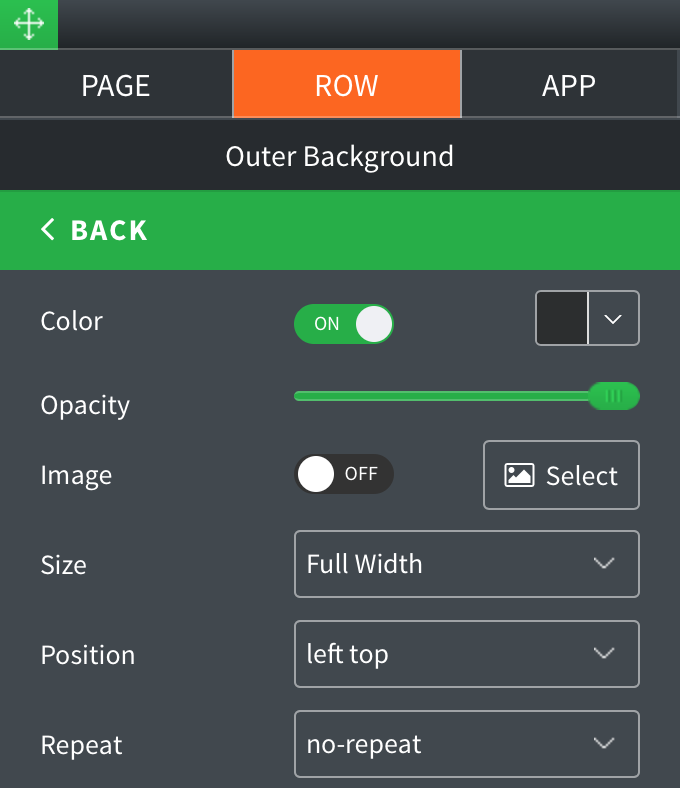 Size: Select website outer background size from drop down list. Position: Select website outer background position from drop down list. Repeat: Select website outer background repeat type from drop down. Color: Choose an Inner background color for website. Opacity: Set opacity of website inner background. 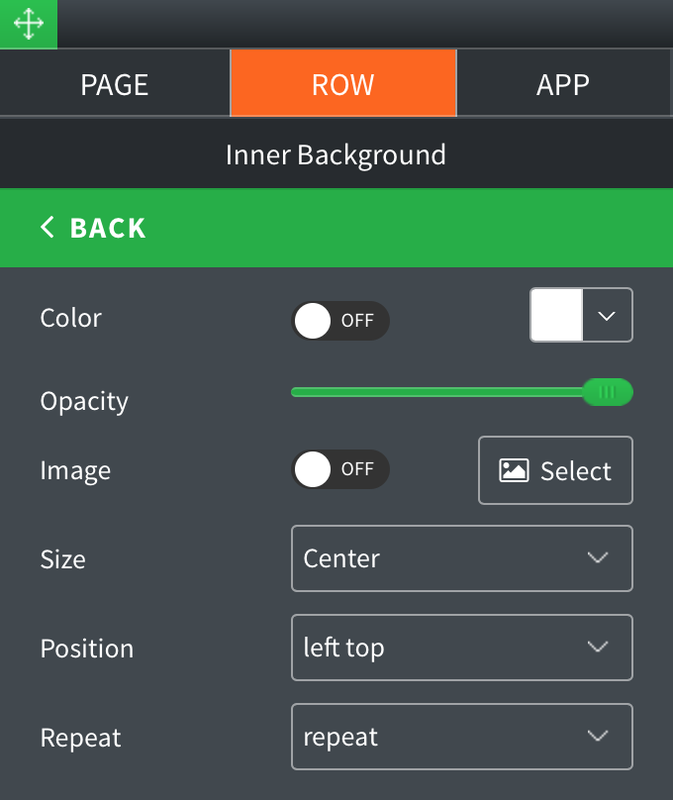 Image: Select an image as inner background. Size: Select inner background size from drop down list. Position: Select inner background position from drop down list. Repeat: Select inner background repeat type from drop down. 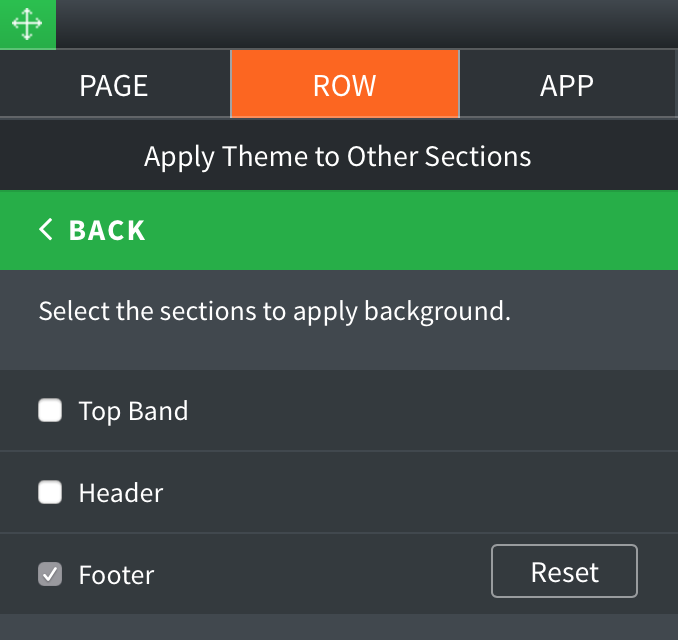 Click on the check boxes to apply the theme to different sections of the website.